The Homeowners have a good sense of quality construction and their related costs but they also wanted to update this 1980’s Kitchen to today’s standards and to appeal to the majority of potential buyers. That is correct. They are planning on selling this large estate on over five acres and with a barn and they want to maximize their investment without over spending. The house is over 4,000 square feet and the Kitchen and Breakfast Room are a very large part of it. They understood someone buying this large of a home is probably going to remodel it themselves but they want to appeal to today’s buyers. The budget. The Homeowners did not want to spend over $20,000 and in today’s market you do not get much for $20,000. We had to sit down with some very good trade alliances and pick everyone’s brain on how to achieve the client’s goal within their budget. The Kitchen was very large in size. They did not want to replace the ceramic tile floors since it covered half of the first floor and was still in excellent condition and would have definitely blown their budget. We had to get rid of the raised panel wood doors and we refaced most of the existing cabinetry and built new ones where design changes created them. New door styles were selected which are very popular in today’s market and painted everything an off white excluding the island. The island cabinetry was extended and painted black with burnished edges to give it an antique look. The desk area was removed and a china display cabinet was installed, centered on the wall where the family displayed their many photo memories. 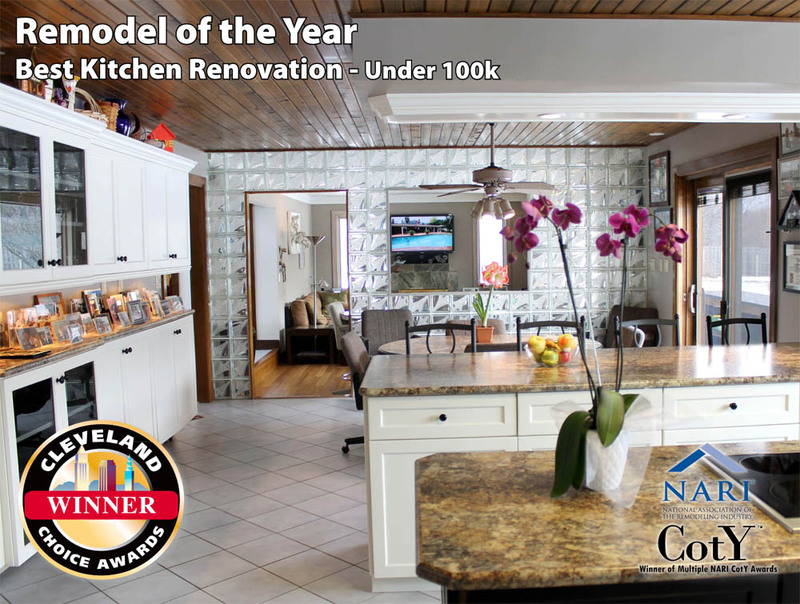 The upper cabinetry above the peninsula was removed which gave the Kitchen a whole new look and increased the view tremendously from the Kitchen to the Family Room. The use of granite looking laminate counter tops gives the illusion of real granite, but with the length of the existing floor joist and the weight of granite, real granite would not fit into the budget and could not be done without structural fortifications. This unbelievable new face lift Kitchen would compete with any Kitchen for its functionality and practicality. 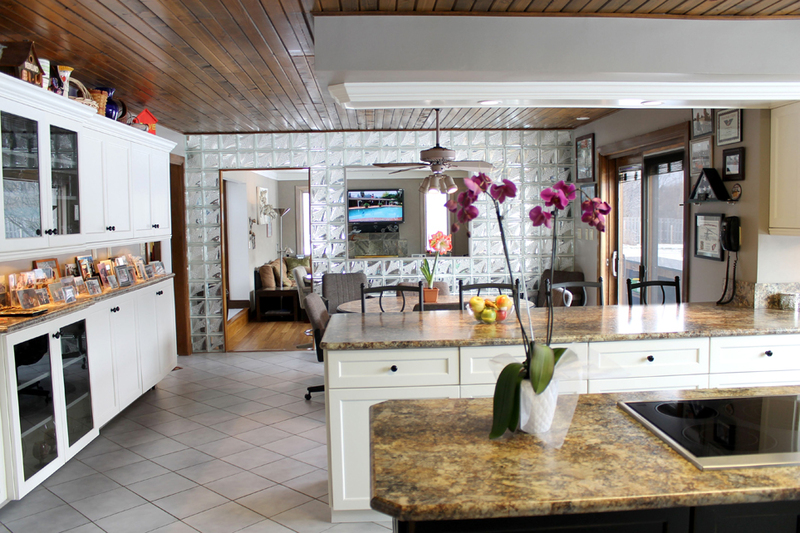 The chef has a great work center completely open to the snack bar, Breakfast Room and even into the Family Room. Everyone who has viewed this Kitchen does not believe the budget and what was achieved within the budget.